gLINK - Sustainable Green Economies through Learning, Innovation, Networking and Knowledge Exchange is an Erasmus Mundus Action 2, Strand 1 exchange program. Northumbria University, UK, coordinates the project. Ho Chi Minh International University, Vietnam, supports as co-coordinator. The far-east and south Asian countries (Vietnam, Laos, Camodia, Malaysia, Mongolia, Thailand, China, India, Indonesia, Sri Lanka) are the targeted areas. The European partners are from France, Germany, Hungary, Italy, Netherlands, Portugal, Romania and West Scotland, UK. Aim of gLINK is to promote multi-disciplinary advanced research, education and professional training on sustainable green solutions through mutual collaboration and knowledge exchange between the HEIs in Europe and Asia. 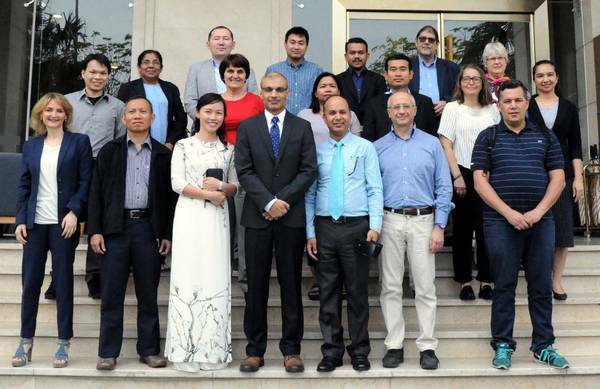 Third project meeting in Da Nang, Vietnam, March 2017. Second project meeting in January 2016 in Bali, Indonesia. The kick-off took part in conjunction with the 8th SKIMA conference 2014 in Dhaka, Bangladesh. 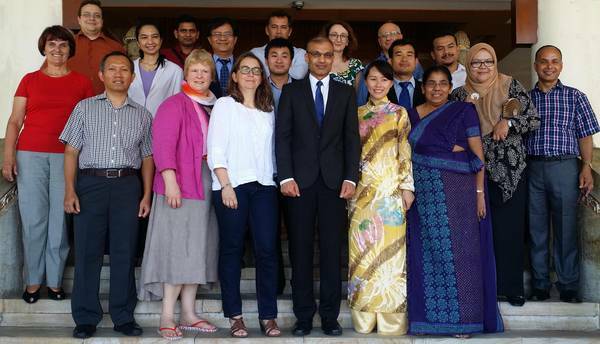 Dr. Nauman Aslam (left) initiated the gLINK proposal 2013 in Chiang Mai, Thailand. Erasmus Mundus is a program of the Education, Audiovisual and Culture Executive Agency (EACEA) of the European Commission. Action 2 supports partnerships with Third Country Higher Education Institutions and scholarships for mobility. gLINK (Sustainable Green Economies through Learning, Innovation, Networking and Knowledge Exchange) is under Erasmus Mundus and External Cooperation: Asia Region, (Ref: EACEA/18/13), Strand 1 Lot 5, Grant Agreement No. 2014-0861/001-001-EM, Action 2-Partnerships. The gLINK Application Portal for EU2Asia has been closed.